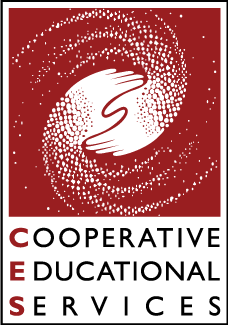 C.E.S. Transportation Services Department provides safe, reliable, and cost effective transportation to students in Fairfield and New Haven counties. Our fleet includes passenger vans and wheelchair lift-equipped vans, allowing flexibility to use the appropriate vehicles fitting the needs of students being transported. Each year, C.E.S. vehicles travel more than 650,000 miles to provide transportation to and from school on a daily basis, as well as field trips and other school activities. All of our vehicles are also equipped with two-way radios that are monitored by a dispatcher at all times. An aggressive preventive maintenance program in which each vehicle is inspected and serviced on a regular schedule. All vehicles are inspected twice a year by the Connecticut Department of Motor Vehicles. The C.E.S. transportation staff is managed by a transportation professional. Our drivers are required to pass a Department of Transportation physical examination, a national criminal background check and a drug test, before being hired. Once hired, all Transportation Department employees are subject to random drug and alcohol testing. Ongoing defensive driving and passenger sensitivity training programs are mandatory, and all of our drivers must be licensed with the school transportation endorsement from the Connecticut Department of Motor Vehicles. All of our drivers also wear a C.E.S. uniform for easy identification. For more information, contact Don Cohen.